Now THIS is what a sweet snocross track tooks like. Check out this short video of Tucker Hibbert and Pieti Puhakka practing for today's FIM Snocross World Championship. I see a RZR-beater, future Baja-winner and Glamis-hero, not to mention the fastest trip to the deer stand ever offered. Arctic Cat sent a press release about the "Wildcat," the wicked-looking sport side-by-side they teased at their recent snowmobile dealer show. Last weekend, my brother-in-law and I hauled a load of lumber to the family cabin on North Fowl Lake. A border lake of Minnesota and Ontario, Fowl is part of a chain of lakes that serves as the basis of a REALLY cool ride, skirting the BWCA Wilderness and through some very wild country. Done with our chores, we embarked on a fine March ride that totalled 160 miles, two lake trout, one dead deer, one dead moose and myriad memories. Metalflake... open-face helmets... Fresca pop...and great sled lyrics. "We tip the glass to the Northern lass, for she won't let you kneel. She'd rather squeal, on a snowmobile." By winning both ISOC Pro high-point championship titles this past weekend at the season finale in Lake Geneva, Wis., Tucker Hibbert fulfilled one of his main goals for the season. 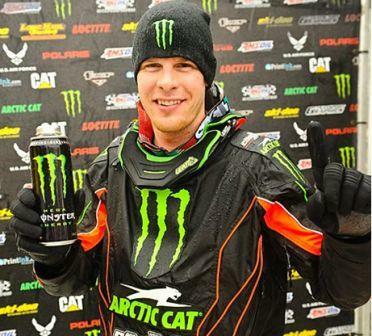 Then, while sitting in the airport waiting for his flight to Norway (for the FIM Snocross World Championships) he fulfilled his other goal of being interviewed by me for ArcticInsider.com. 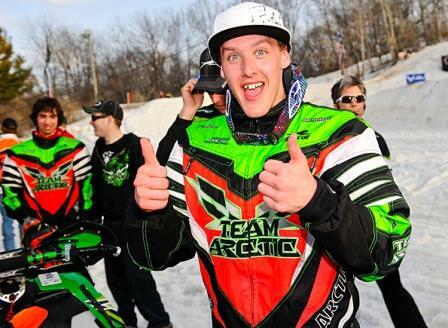 Team Arctic snocross racers ended their 2011 ISOC campaign with five class wins and four high-point championship titles. Nice! Click to read the Team Arctic press release. 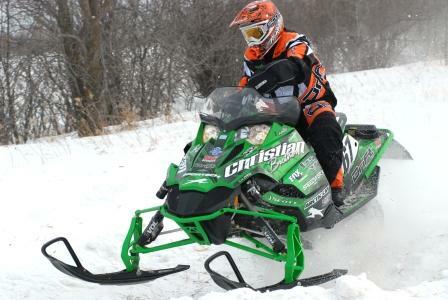 The dates have been set: Arctic Cat's 50th Anniversary Celebration will take place July 29-31, 2011, in Thief River Falls, Minn. Welcome to the March, 2011 version of Random Photos. Click to see what I scrounged up for your viewing pleasure (and my own laughter). 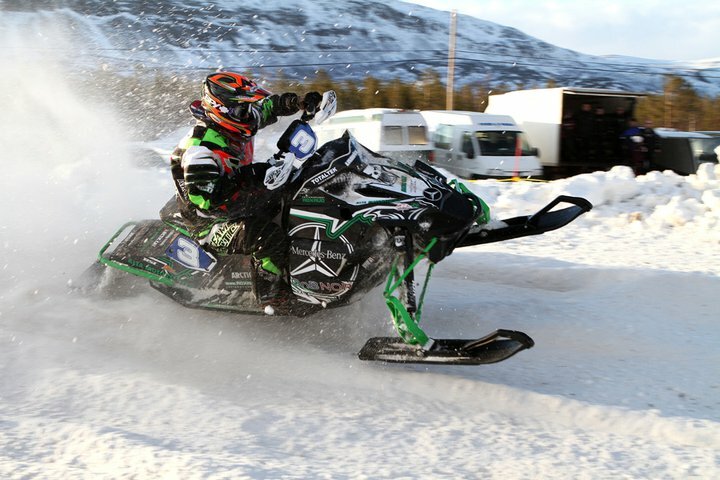 Team Arctic's Magnus Lindback (Alta, Norway) is the 2011 European Snocross Champion! Click to read Magnus's short description about how he won it. Heckuva weekend for Team Arctic, racking up 33 combined wins between the finalt two USCC races in Warroad, Minn., the ISOC National snocross in Elko, Minn., and the RMSHA hillclimb in Lost River, Mont. Click to read, and to see the visuals. My son Calvin raced a snowmobile for the first time this past weekend, at the USCC cross-country race in Warroad, Minn.
During a winter in which we've had some amazing snowmobile experiences, this was MAJOR highlight. 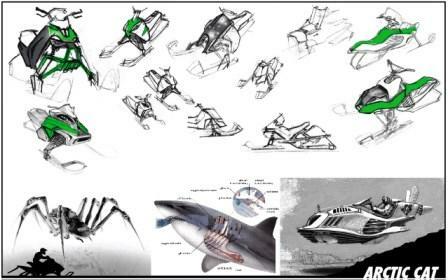 There's so much more to explain about the 2012 model year Arctic Cat sleds, here's a brief overview of just some of it. Lots more in-depth stuff coming over the next weeks. 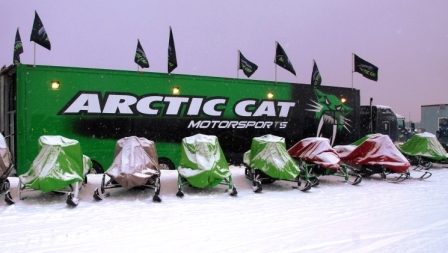 A New Arctic Cat Side-X-Side? Shown (briefly) at the Arctic Cat snowmobile dealer show this week, was a Prowler-like side-x-side that looks WAY sportier than a Prowler. 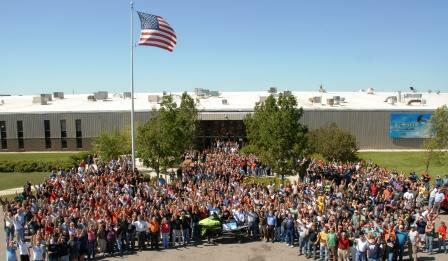 Yep, Arctic Cat has been pretty busy lately! 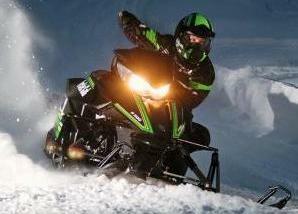 Click to see the U.S. and Canadian MSRP of the 2012 Arctic Cat snowmobiles. After witnessing the evolution of the “F4” during the past three years, then recently spending the better part of three days riding pre-production versions of the 2012 Arctic Cat snowmobiles, here are 10 observations I’d like to share. 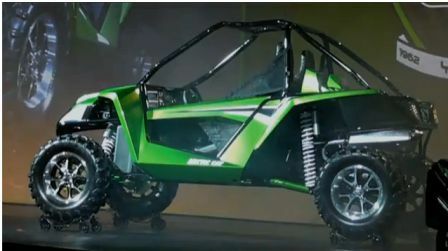 While we're all waiting, how about a little video of the new 2012 Arctic Cat F1100 flying through the bumps? 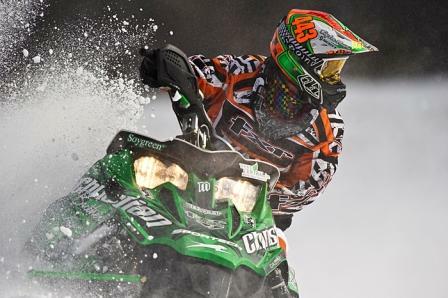 Team Arctic Cat snocrossers scored their first Pro podium sweep in a long while, with Logan Christian (shown) nearly taking the win. Click to read the official Team Arctic press release. 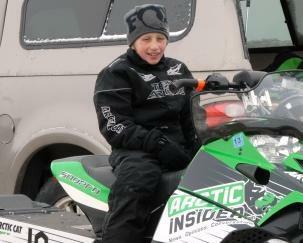 Our freestylin', ditch-banging and tail-standing hero Bobby Flame tells us a little bit about the 2012 Arctic Cats. If you want to learn more about Bobby, CLICK HERE. Sorry I haven't posted anything for a few days. It's because I've been riding these sleds (and will continue to do so for another day). I'm confident Arctic Cat riders are going to be pleased. 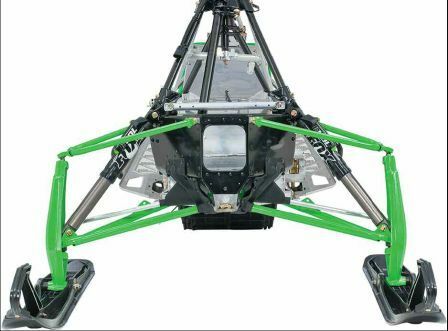 Want to see, touch, smell, sit on and feel the new 2012 Arctic Cat sleds yourself, rather than having to wait for smuggled images posted on this (and other) forums? Click on the ad link on this page for the Sneak Peek shows. But take note! 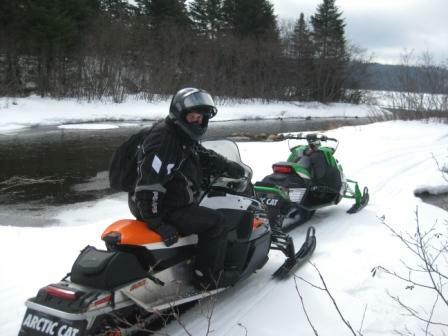 There will be no Arctic Cat sleds at the first show in Colebrook, NH.